Help us Grow Studio Deep Roots! If only we could all be in Seattle taking awesome classes at Deep Roots Dance. Geography, family, work, and just plain life manages to keep us from the things we love most. Luckily, in the digital age, we now have opportunities to supplement our studies from the comfort of our own home, on a schedule that works best for us. 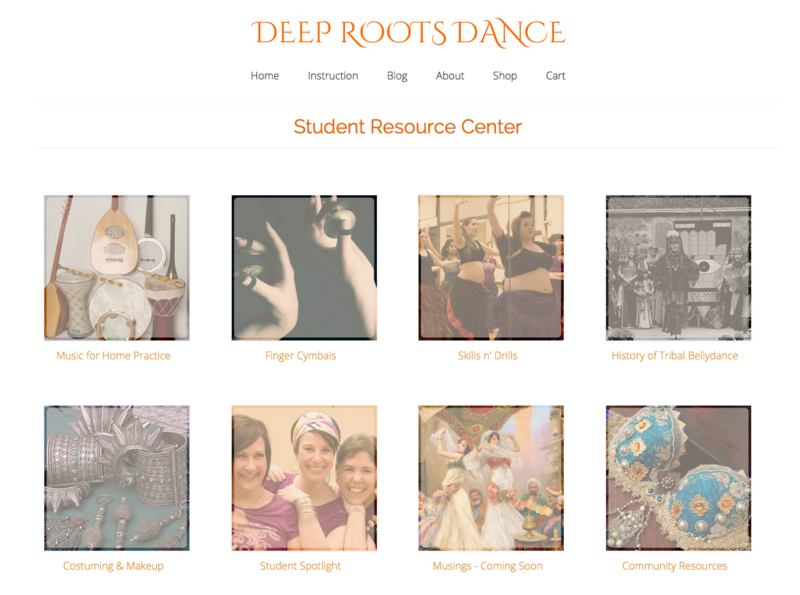 The Student Resource Center is a pet project at Deep Roots Dance–a collection of links, articles, and videos written or curated by director Shay Moore which are of particular value to tribal bellydancers in their studies. 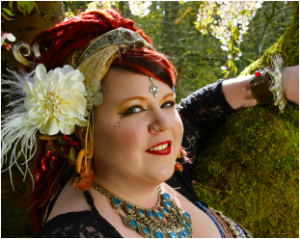 Learn more about the history of tribal bellydance in America, follow along with a finger cymbal tutorial, or explore music playlists which are sure to get your hips shaking. 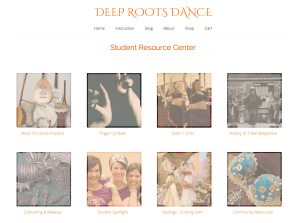 This resource is available to students and friends of Deep Roots Dance, whether you come to class every week or are a fan from afar, following us on Facebook or YouTube. Looking for a supplement to your current tribal bellydance studies? Want to get to know some basics in the comfort of your home before joining a local class? Have been interested in studying with Shay, but distance has kept you from being able to take a class or workshop? Seeking advice on how to expand or tweak your repertoire thoughtfully, guided by an experienced mentor? Want to take your dance to the next level, but don’t have advanced classes available near you? For all these reasons and more, Shay Moore of Deep Roots Dance offers online private and semi-private lessons via Skype, FaceTime, or Google Hangouts. Shay will personally connect with you via the video chat technology available to you, and will spend your session working with you on specific areas you choose. Some students want to refine their ATS® foundations, others are seeking more advanced material to sink their teeth into, and still others enjoy a “face-to-face” mentorship with a trusted instructor, discussing troupe dynamics, staging, and even costuming dilemmas! Or, what do you have in mind…? Why study online with Shay? This is not like a DVD or YouTube video instruction experience, which offers no interaction. This is immediate and personal, with feedback given to you in real-time throughout the session. And since there is no studio rental involved, the rates for online private instruction are incredibly affordable and scheduling is really flexible–there are both day and evening time slots available. Sessions can be as short as a half-hour (we can work together on your lunch break! ), or as long as you would like to work on the material of your choosing. You get to work in your own space, on your own time, at your own pace. Semi-privates can include up to four dancers (so long as everyone fits in your dance space and in front of the camera -OR- can join in a Google Hang Out! ), so groups and troupes can work with Shay together to push their work to new heights. A time scheduled with Shay! Deep Roots Dance also offers regular weekly or monthly session discounts, for dancers who want longer-term study opportunities at a regular day and time. Discount is applicable toward a block of 4 or more lessons purchased at once.